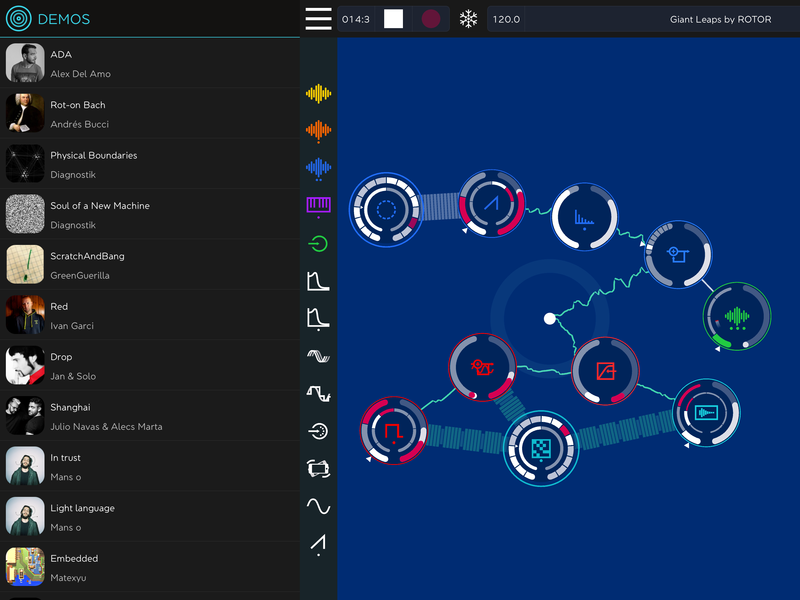 ROTOR is the new app that turns your devices into a comprehensive electronic music performance suite. Using the optional ROTOR controllers, which can be purchased separately, it also brings the reactable tangible music experience that has captivated musicians such as Björk, Coldplay or Gui Boratto, for the first time into the iPad. … although it includes elements of all of them. ROTOR incorporates dozens of modules, among instruments, audio effects, modulators and controllers, which can be linked all together using a flexible and unique routing system, for creating the most expressive and intricate patches. It is an unprecedented multitouch/tangible instrument specially designed for live interaction and performance. 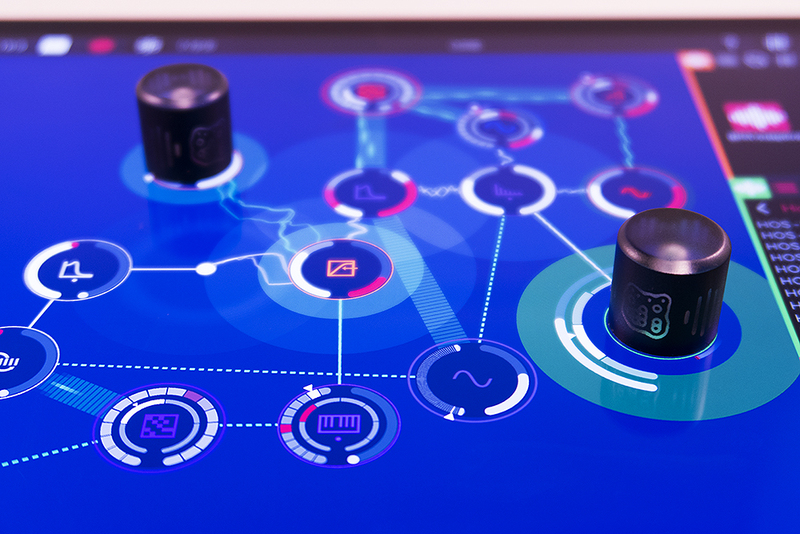 With our exclusive physical control objects especially conceived for the iPad, and which can be purchased separately, ROTOR brings the unique tangible experience of the reactable for the first time to the iPad! This means that while all standard multi-touch capabilities are preserved, the ability to control any parameter by moving and twisting our tangible pucks over the iPad’s surface, brings 3 additional degrees of freedom to each hand! ROTOR can be perfectly used without the controllers. Get your controllers here. ROTOR comes with 100+ high-quality loops by professional EDM producers. ROTOR also comes with 100+ high quality loops and sessions created by professional music producers. 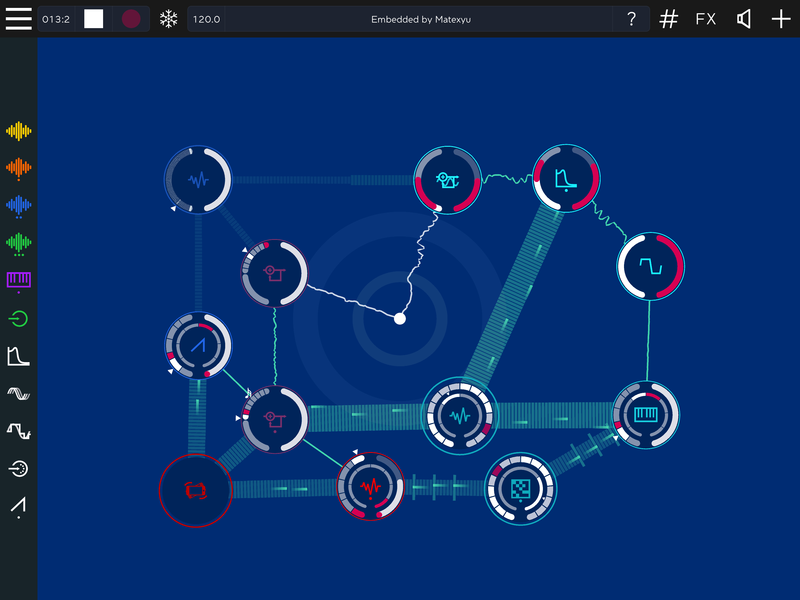 Along with these loops, users can import their own ones and combine them with ROTOR’s advanced synthesis and processing capabilities. From House or EDM to the most experimental generative soundscapes, ROTOR sonic versatility goes unparalleled. 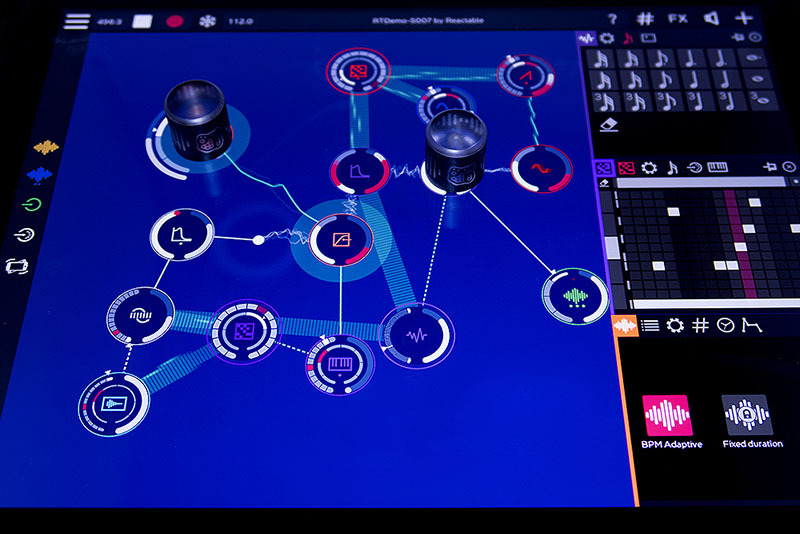 ROTOR includes dozens of multitouch control panels such as virtual keyboards, polyphonic and monophonic step-sequencers, envelope generators, or 2D panels, which empower to control in real-time, every detail or nuance of the performance. On the other hand, interconnecting less linear and less predictable modules, such as the accelerometer input, feedback, etc., opens a whole universe of complex generative and serendipitous creations. This, combined with ROTOR’s live recording capabilities, which simplify the capturing of loops on-the-fly and always in sync, turns ROTOR into the ULTIMATE LOOP CREATOR MACHINE.